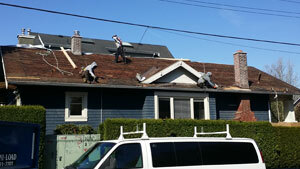 Eco Exteriors is exceptional at finding roof problems and diagnosing the fix. We offer full residential roofing repair services for your shake, metal, flat, composition or tile roofing system We know that getting a roof repaired is a stress to many homeowners, but we also know that replacement & repairs are often a perfectly good alternative to installing a brand new room system. Contact us for your free inspection. Our luxury shingles offer the look of cedar shakes and the performance of one of the finest composition roofing solutions in the industry.